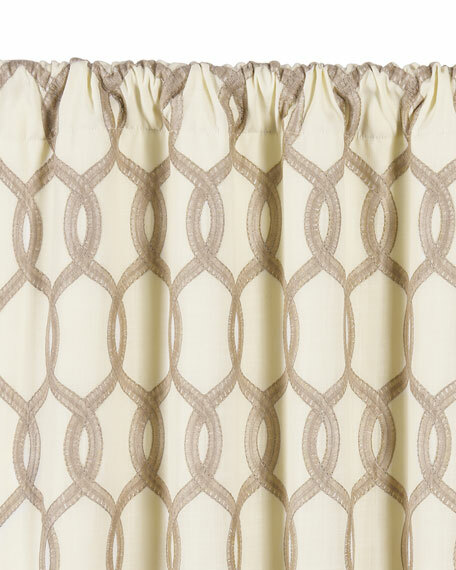 Curtain panel with leaf diamond pattern. 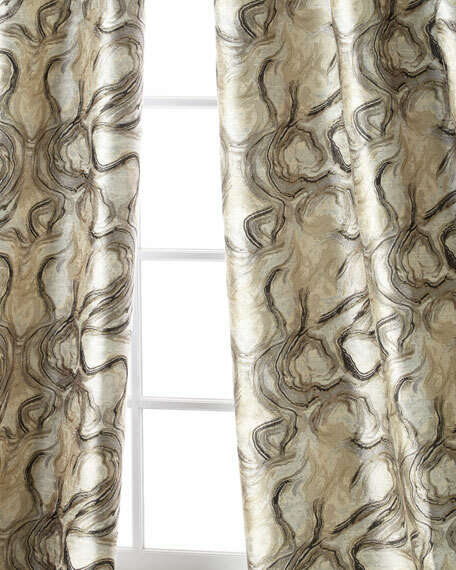 Three finger pinch pleat header. Medium weight cotton flannel interlining. 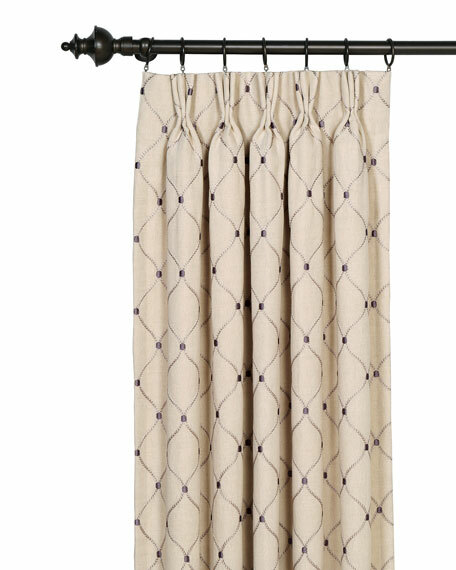 Pleats: 4"L. Polyester.Dry clean.20" x 96". Made in the USA of imported materials. 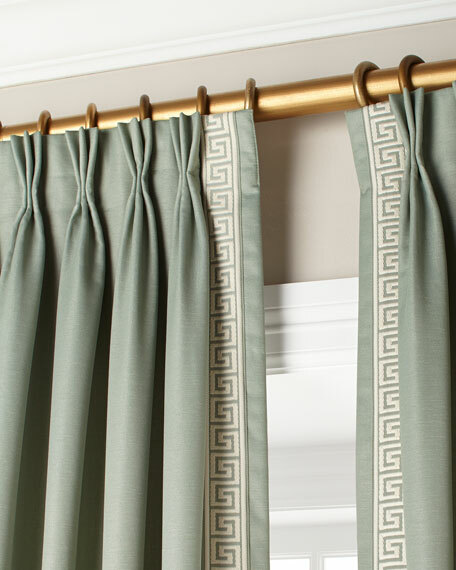 Pinch-pleat curtain with Greek key trim.Lined and weighted.Dry clean.Panel uses one full width (48") of fabric that when sewn and pleated finishes at 20"W at the top.Made in the USA of imported polyester.